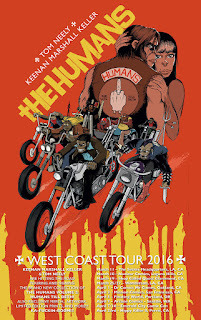 Keenan Marshall Keller and Tom Neely hit the road for a West Coast tour. 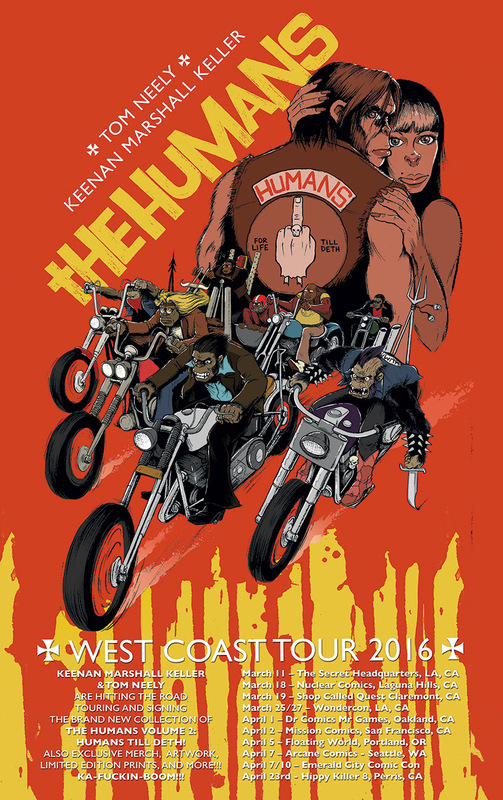 Writer Keenan Marshall Keller and artist Tom Neely will appear at comic book stores, events, and conventions this March and April to celebrate the release of the second volume in their runaway hit series: THE HUMANS, VOLUME 2: HUMANS TIL DETH. THE HUMANS, VOLUME 2: HUMANS TIL DETH (ISBN 978-1-63215-765-2) available now at local comic book stores for $15.99.